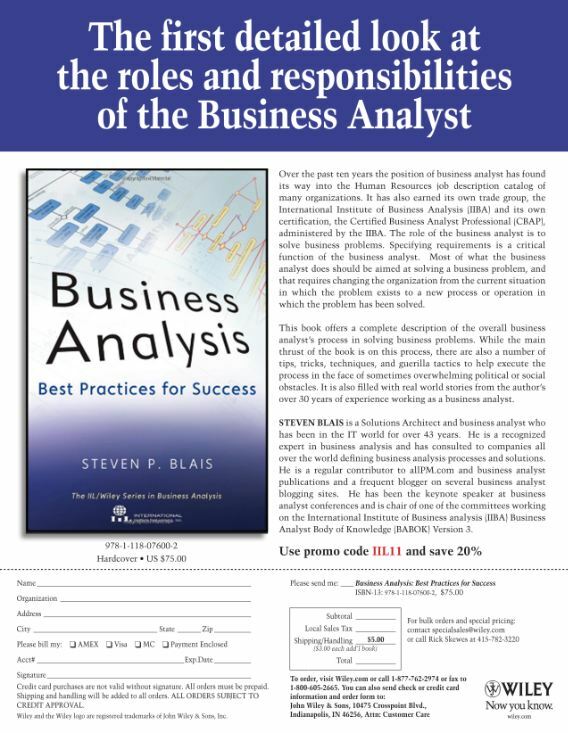 You can order Business Analysis: Best Practices for Success from Amazon or Barnes & Noble. Or you can order directly from John Wiley, the publisher or IIL, co-publisher. You can also be notified of the upcoming books in the series: The Agile Business Analyst, and Ask More Questions. To sign up for Steve’s Mailing List, please Click Here.